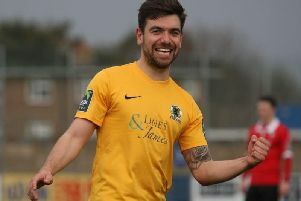 Crawley Wasps manager Paul Walker praised his side for putting in a competitive display in their 4-0 defeat against a side from four divisions above. The local side trailed their full-time opponents by just two goals at half-time netted by Kim Little and Ruby Grant which was a reward for the hard work they put in. He pointed to how Wasps kept their shape and made it difficult for their high ranking opponents by closing them down when they didn’t have the ball. Walker said: “I’m immensely proud of the performance of the ladies. “They came up against an absolutely top side in Arsenal but I’d be very surprised if anyone thought there were four levels difference between the quality those squads. “There were times where we didn’t see a lot of the ball but for me the discipline we showed to keep the shape, close the space down and make it difficult for Arsenal in periods of the game for me was admirable. “The first goal was given away by a mistake in our area, that happens.